Consumers are still warming up to the idea of interactive video experiences in their online shopping, and internet merchants have a growing opportunity to introduce rich interactive media that has material impact on customer engagement and conversion. In exploring implementations of online retailers' use of video today, a recent Forrester report offers some sound recommendations for those looking to make video a core feature of their e-commerce customer experience. Make online product videos highly visible. Videos have greater impact on conversion when they are displayed prominently on a product page. Web designers should not push videos to a separate channel page unless there is very specific channel-centered content strategy; videos should remain close to where shoppers can add products to their carts. Companies might even consider featuring video prominently above the scroll to make sure viewers catch it, and short-form content (10-15 seconds) might be set to autoplay to demonstrate product features, with or without sound. Prioritize online product videos for high-margin products. Though retailers are heavily automating product video workflow and production costs are getting cheaper, the highest video ROI might come from content produced to support a company's highest margin products. Targeting specific products is a good strategy to help focus content production as you expand your video catalog. Use short, relevant online product videos in support of multiple product pictures. Forrester suggest that consumers might not have the attention span for longer video demonstrations in a catalog e-commerce experience. 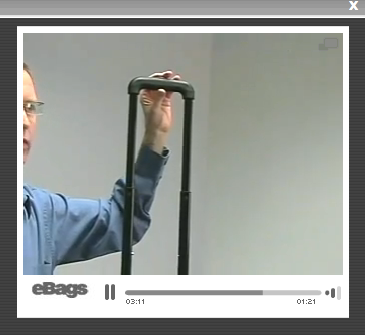 Instead, use video to supplement what can't be shown in still images: demonstrate product movements or features that are best captured in motion, such as a retractable handle on rolling luggage. Video is still a relatively new feature in the internet retail experience, but Forrester finds that 64% of customers that view videos find them to be useful. Retailers just need to follow a few best practices to make the most of the new video content as consumers increasingly come to rely on interactive shopping experiences. Next: Explore how Brightcove customers Warehouse, Kmart, Thomas Pink, and Marks and Spencers are using video for e-commerce initiatives. For the full Forrester report referenced here, check out: Online Retailers' Adoption of Online Video Content is Ahead of Consumers' Preferences. Follow Brightcove on Twitter and Facebook. Sara Marie Watson is Brightcove's online video platform evangelist. She tweets @smwat.